WASHINGTON, D.C. — On Tax Day 2019, two years after 125,000 people marched through the streets to demand Trump’s tax returns be released, Tax March, Stand Up America, and Public Citizen joined Representatives Bill Pascrell (D-NJ) and Judy Chu (D-CA) for a press call to demand that the Treasury Department immediately comply with Chairman Neal’s request after failing to meet the deadline for the release of the returns. With Treasury Secretary Mnuchin stonewalling the process, speakers on today’s call also urged House Ways and Means Committee Chairman Richard Neal to continue pushing for President Trump’s tax returns. “President Trump’s tax returns are the perfect example of an information void for needed oversight and accountability. The public has been clamoring for the release of Trump’s tax returns since he first announced his candidacy for office, and President Trump’s refusal to disclose his tax information, despite decades of precedent set by his predecessors makes it clear that future presidential and vice presidential candidates and office holders must be required by law to disclose this information,” said Lisa Gilbert, Vice President of Legislative Affairs at Public Citizen, who spoke about the need to pass House Democrats’ For The People Act, which includes provisions requiring such disclosures. 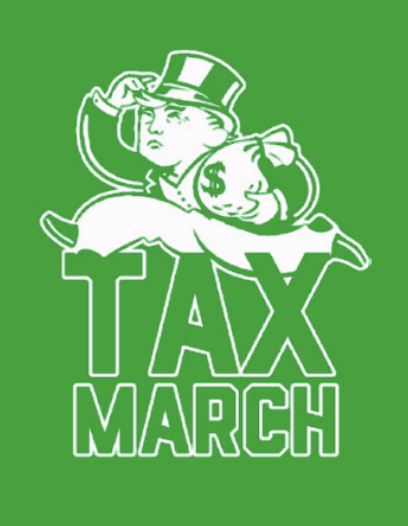 Following today’s press call, several progressive organizations including Americans for Tax Fairness and Tax March will rally outside of the IRS building to demand that Treasury Secretary Mnuchin comply with Chairman Neal’s request.